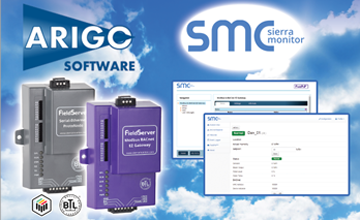 Sierra Monitor Corporation (OTCQB: SRMC), provider of Industrial Internet of Things (IIoT) solutions that connect and protect high-value infrastructure assets, today announced the appointment of ARIGO Software GmbH as an Authorized Reseller and Local Support Team for the FieldServer family of protocol gateways and routers in the German speaking markets. As an Authorized Reseller, ARIGO Software will offer the FieldServer product line, including the QuickServer protocol gateway, the Swiss Army knife of integration that supports Sierra Monitor's full library of 140+ protocols; the BTL Certified BACnet Router, the router first in its class to pass BACnet Testing Laboratories (BTL) Protocol Revision 12 tests; the EZ Gateway, the easy-to-configure gateway for the most common configurations; and the BACnet Explorer, the first browser-based BACnet Explorer on the market. These products are highlighted at the ARIGO Software online store. As Sierra Monitor's Local Support Team for Europe based in Germany, ARIGO Software will provide technical support for the FieldServer family of products in addition to Sierra Monitor's current technical support team. "We are excited about working with ARIGO Software to increase adoption of our BACnet BTL- and LonMark-Certified family of multi-protocol gateways and routers to the German-speaking markets," said Anders Axelsson, Vice President of Sales and Marketing at Sierra Monitor Corporation. "In addition, adding ARIGO Software as the point of contact, for supporting the German-speaking countries, only strengthens our European presence as the industry's leading multi-protocol provider." Based in Bielefeld, Germany, ARIGO Software is a team of automation specialists that provides protocol gateways, remote maintenance, system integration, customized hardware and firmware development. ARIGO Software has profound knowledge in numerous protocols like BACnet, LON, Modbus, Profibus, M-Bus, and others. "Partnering with Sierra Monitor is a great opportunity for us to expand our current building automation solutions with SMC's leading multi-protocol automation and IIoT solutions," said Jörg Seiffert, Managing Director at ARIGO Software. "Sierra Monitor's FieldServer brand is renowned throughout the automation industry for its reliability, performance, and multi-protocol certifications. We are pleased to offer and support these products that can meet the needs of customers throughout the DACH countries."